Macaroon Bil Toum is traditionally known as a Lebanese afternoon snack or "asrounieh" in Arabic. 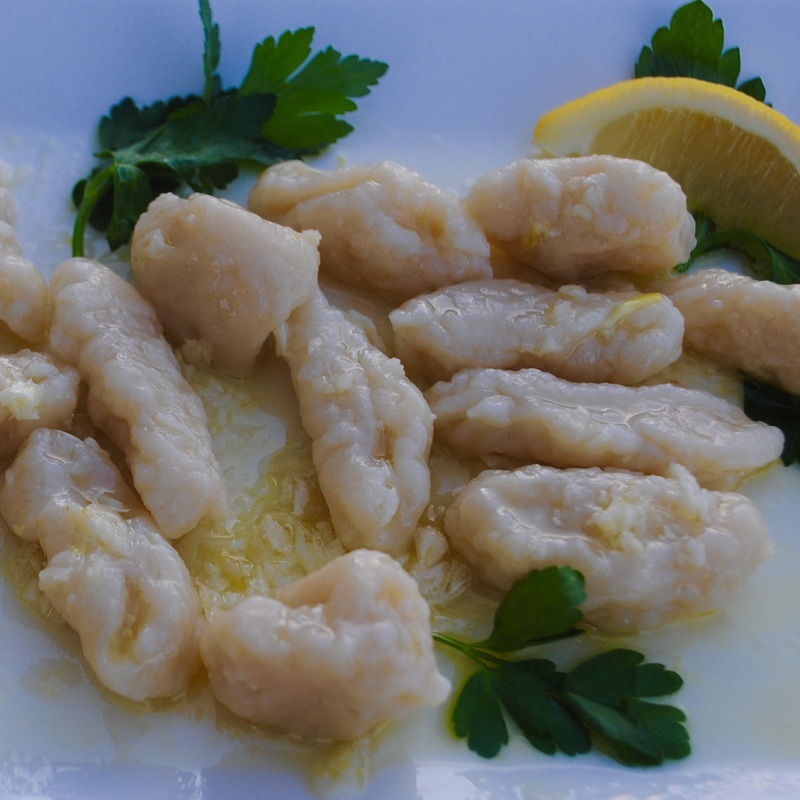 It's basically pieces of dough boiled in water and then smothered in a garlic and lemon juice mix. If you love garlic, this is definitely a dish to try! It's fairly easy to make, but may take you over an hour because you will be splitting up the dough into smaller pieces before boiling it. This dish is super unique and would make a great appetizer or side dish, especially for you Lebanese foodies out there! Eva learned this recipe from her aunt in Lebanon and makes it now for a special treat. I recently tried this for the first time and was instantly hooked. The dough was so soft and chewy, and the taste of the garlic soaked into the dough was amazing! Let your dough soak into the garlic and lemon juice for a few minutes before serving. You can use more or less of the garlic and lemon juice (your preference of how lemony or garlicky you like it) and this dish can be served hot or at room temperature. Enjoy!